이 주화는 단 1만개만 주조되어 디즈니 수집가들이나 공주 팬들에게 완벽한 선물입니다. 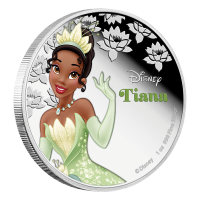 1온스 2016 디즈니 공주 티아나 은화 Disney's Princess Tiana of Moldovia appeared in the movie The Princess and the Frog, and she was based on the heroine in the novel The Frog Princess. The tale is considered a twist on the stereotypical fairy tale, where a princess kisses a frog and turns into a frog herself! 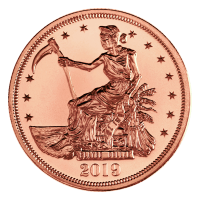 The obverse has the Ian Rank-Broadley effigy of Queen Elizabeth II, while the reverse features a colourized image of Tiana as she appeared in the Disney film. 이 주화는 단 1만개만 주조되어 디즈니 수집가들이나 공주 팬들에게 완벽한 선물입니다.